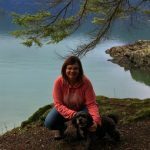 Send questions or comments to donna@traillady.com. The bus schedule is arranged so everyone’s car ends up at the Pinawa Dam heritage Park at the end of the day. The bus stops running at 3 PM. If you would like to take the bus to the park, please feel free to do so but you will need to arrange your own transportation home at the end of the day. Please note that parking at the park is limited and a valid Provincial Park pass is required. Car-pooling would be appreciated. Bring your own chairs for the afternoon / evening events. 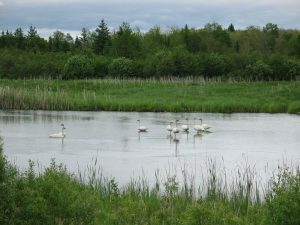 Description: This trip begins at Pinawa Dam Heritage Park at 7:30 AM and will be guided by yours truly, Donna Warenko. We will catch the bus and transport to our start point at Seven Sister Falls Hydro Generating station. We begin with a walk over the dam. There will be a scheduled lunch stop at Pinawa Golf Course Restaurant in Pinawa. We expect to arrive back at Pinawa Dam Park no later than 3 PM. Difficulty of the trail terrain is easy to moderate but the distance does add some strain to the trip. Don’t forget your water bottle, hat, sun screen and snacks. You can read a more detailed description of this hike at http://traillady.com/pinawas-great-trail/. 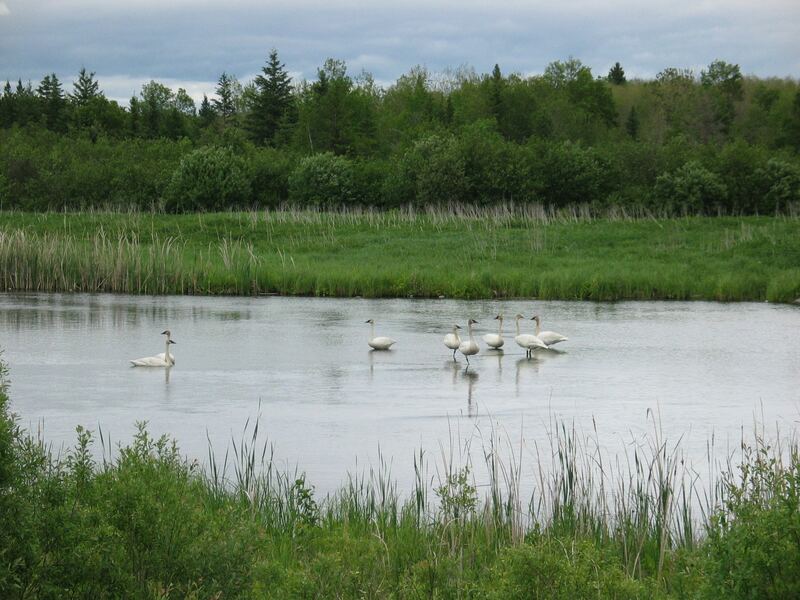 Description: Join naturalist and birder Peter Taylor on a nature walk along the Old Pinawa Dam trail. Car-pool to Pinawa Dam Heritage Park in time to catch the 11:45 AM bus which will drop you off on PR 520 at the Alice Chambers access gate. 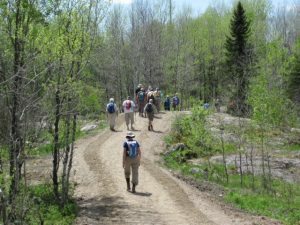 The hike will follow the Alice Chambers road to the TCT, where it heads north, following the Pinawa Channel back to Old Pinawa.The focus would be on flowers, butterflies, dragonflies, and any other critters or their signs you happen to encounter. Description: Join Martha Laverock and crew as they cycle the entire Pinawa Trail network. Bikes can be dropped off at a secure location in the town of Seven Sisters the night before, or morning of August 26th. 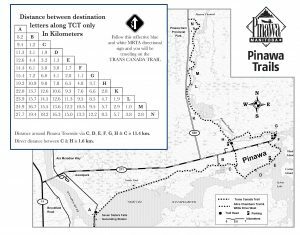 Cyclers should car-pool to Pinawa Dam Heritage Park to catch the 10:00 AM bus that will transport you back to your bike. This group plans to enjoy a leisurely exploration of the trail, including lunch stop in Pinawa. Trail difficulty starts off easy from Seven Sisters to Pinawa. The section between the Diversion Dam and the Suspension bridge requires a decent mountain bike or a few areas of walking the bike. 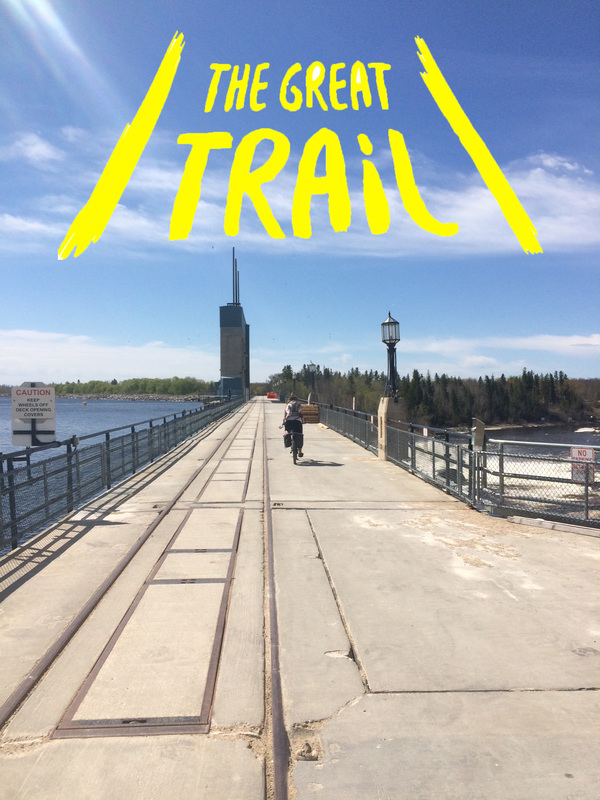 The last section, from the suspension bridge to Old Pinawa is again relatively easy. For more information on this trip email Martha directly at marvel47@mymts.net. Description: Meet up with the Pinawa Trail through-hikers at their lunch stop at the Pinawa Golf Course Restaurant in Pinawa and hike to Old Pinawa with them. Car-pool to Pinawa Dam Heritage Park in time to catch the 11:00 AM bus that will transport you to the Pinawa Golf Course. 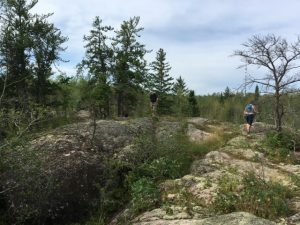 Description: Meet up with the Pinawa Trail through-hikers at Suspension Bridge in Pinawa and hike to Old Pinawa with them. Car-pool to Pinawa Dam Heritage Park in time to catch the 1:00 PM bus that will transport you to the Pinawa Suspension Bridge. Description: Start your hike at the Pinawa Dam Heritage Park at 12:00 p.m. with guides and follow the trail to the Tower Road trail-head. The bus will transport you back to Pinawa Dam at 2:45 PM. Description: Car-pool to Pinawa Dam Heritage Park in time to catch the 1 PM bus. 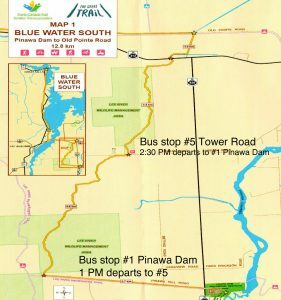 The bus will transport you to the trail head on Tower Road where you will proceed to hike south on the Bluewater South Trail with guides and then return to Tower Road in time to catch the bus back to Pinawa Dam at 2:45 p.m. Description: Car-pool to the Pinawa Dam Heritage Park in time to catch the 1 PM bus. Hike north on the Bluewater South Trail up to 3.5 km, in consultation with hike guides. Explore this beautiful trail and return to Tower Road trail head in time to catch the 2:45 p.m. bus back to Pinawa Dam.